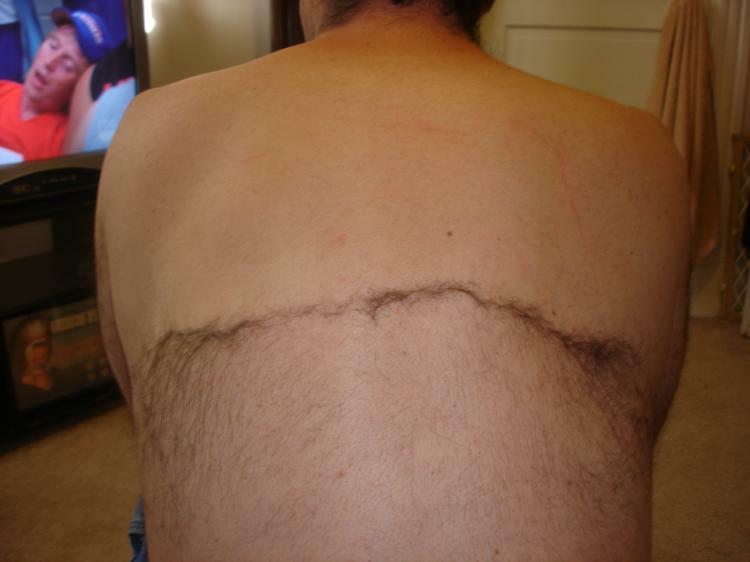 If you're a lonely man with no roommates, no girlfriend, no wife, no family, not even a stranger off craigslist that's willing to shave your back for a couple bucks, the BaKBlade might be for you. 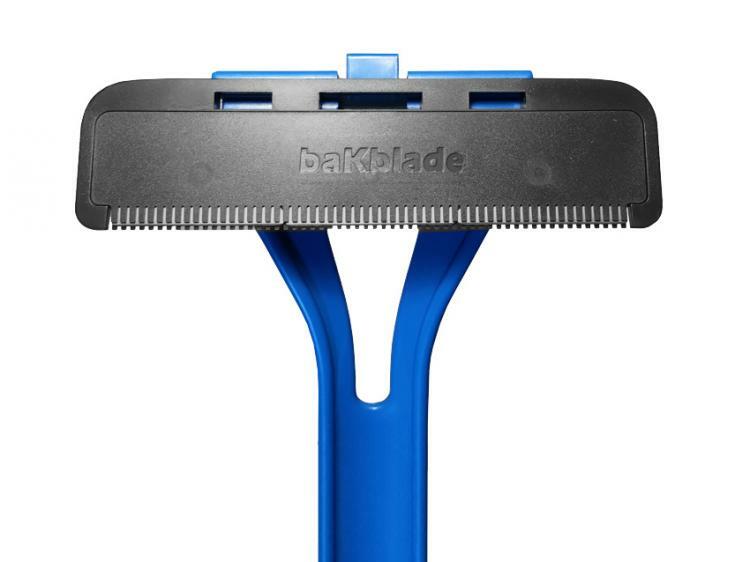 The BaKBlade is a back shaver that has an extra long handle that allows you to shave your back all by yourself by simply looking into a series of mirrors. Similar to the Do It Yourself Back Shaver (which has an image with amazing Photoshop skills), and the Lonely Man's Back Shaving Cape, the BaKBlade is meant to be used by lonely people that really have no other option than to shave their back themselves. Plus the device uses an actual blade that leaves your back silky smooth, rather than an electric clippers that would leave stubble. To use the extra long back shaver, position a series of mirrors (if needed) to get a good view of your back while you shave, then hold the back shaver with the teeth pointed towards your back and drag slowly over your hairy patches. The teeth on the shaver will grab and cut the hairs with no discomfort to you and the overall sensation is quite pleasant and will most likely make you purr like a walrus. To shave your lower back you can flip the razor so that it's pointing the opposite direction and use in a similar way. It will probably take some time to get used to the way the tool works, but by the second or third back shaving session you should end up with back skin that's as soft and smooth as baby skin. The BakBlade back shaver has an extra long handle to use with ease, as well as an extra wide razor to shave as much back hair as possible with each swipe. 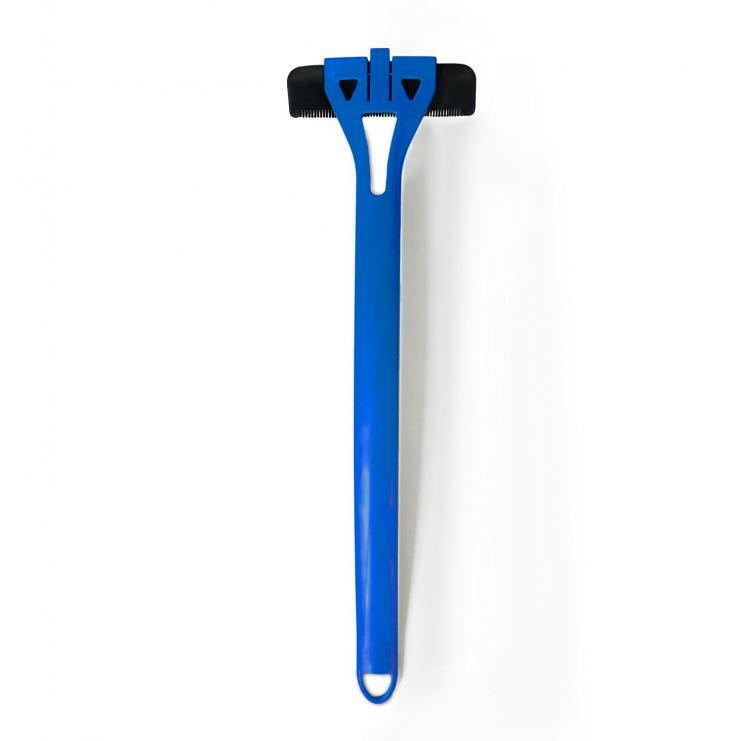 The blade measures 4 inches wide, requires no shaving cream to use it, has an ergonomic and lightweight design, allows for a fully extendable reach with your arm to get even the hardest to reach areas of your back, and the whole thing measures 14 inches long x 4.5 inches wide x 2 inches thick. Check out he BaKBlade extra long back shaver in action via the video below.